Local favourite Millú rewinds to the glory days of UK acid and breaks. Catching Melbourne’s Millú in full flight as she laid a 90s acid assault on a crowd of dusted doofers at Pitch Festival was a real highlight of that weekend for us, and while the set didn’t quite make it onto tape, the local DJ – known for dealing in cold wave inspired industrial electro and techno – expertly channels those frenzied broken acid lines once more for our latest rave ready edition. Hey Milly, how’s things? I know you’ve been pretty busy.. what have been some of your highlights of the year thus far? G’day Myles, nice to be here! Things have finally chilled out a little after what was a pretty hectic summer. I was able to tick a couple of items off the rhetorical bucket list in the past couple of months – namely playing at Inner Varnika with Pjenné over Easter. Other memorable moments for the year were giving it a red hot go at Pitch Music & Arts and catching a nasty bout of the gastro while closing out the Daydreams series for the summer. I know you’re closely aligned with Melbourne’s Club D’érange and Wax’o Paradiso parties, tell us about the role you’ve had with those nights over the years, and what have been some of your favourite memories? Yeah look both of those parties have been super formative for my DJing, which is kinda funny given they both sit at polar opposite ends of the spectrum if you want to boil it down to genre. Simon, Edd & Andy of Wax’o Paradiso were kind enough to give me some of my first gigs; playing spiritual jazz in the afternoon and learning how to use a mixer. Club D’erange on the other hand has really given me the space to experiment with my own sound. The parties are always pretty turnt, it’d be hard to pick a favourite. You’ve also become a regular voice and musical guide on Melbourne’s airwaves presenting shows on 3RRR, and most recently Skylab. Tell us about your radio journey to date, and what you’ve enjoyed the most about that whole experience? 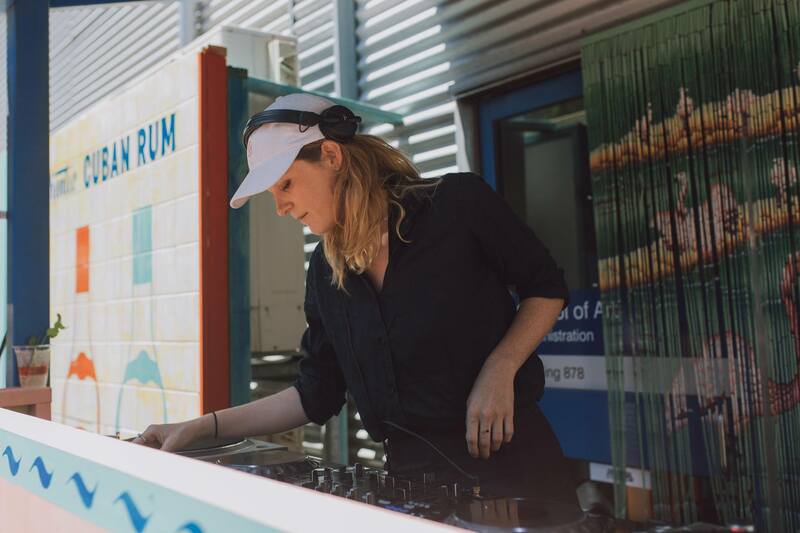 Radio has really been my road in to djing – I did my undergrad in Media Communications a few years back and was lucky enough to do a summer of shows on 3RRR as a part of that, and from there I guess I just hung around like a bad smell until I started getting fills of my own. I’ve learnt so much about music through that community – not just dance music either. Then yeah there’s Skylab which has just launched over the past month, as a streamable digital station – it’s broadcasting some of the most amazing shows and I’m super excited to be a part of it. I’m doing a monthly slot of more psych-ey stuff – plenty of guitar pedals and fuzz. I was lucky enough to catch your set at Pitch Festival earlier in the year, and it sounds like you’ve channeled some of those vibes for the mix you’ve done for us… What can you tell us about it? I was so nervous before my set at Pitch that I couldn’t set the recorder up, so this mix is a rehashing of what I could remember of the set – there’s a lot of acid and UK breaks and stuff, I hope it translates to the ‘cloud as well as I felt it did out there in the dust. I’m trying my hand at making some music of my own at the moment. It’s a long slow process. HMU in 3 years time and maybe I’ll have a track to send you.